Today, Swiss voters voted on two federal initiatives: the full money initiative and changes to gambling laws. 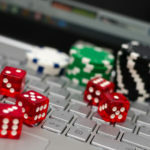 The vote to change Swiss gambling rules aimed to update existing laws on gambling in Switzerland and the full money initiative was a vote to radically change Switzerland’s banking system. 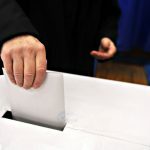 As predicted, the vote to change Swiss gambling rules was accepted by 72.9% of voters, while the full money initiative was rejected by 75.7% of voters. The full money initiative was convincingly rejected across all of Switzerland’s cantons. 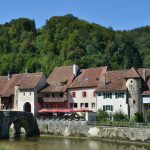 In Vaud (78.7%), Valais (76%), Bern (76.8%), Fribourg (75%), Neuchâtel (73.6%), Jura (72.5%), Zurich (75.3%), Luzern (78.8%) and Basel-City (70.3%) it was rejected by around three out of four voters. Geneva (59.7%) was the only canton where it came close to the 50% mark – see results by canton. 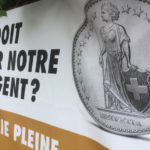 Alongside accusations of propaganda from opponents, the organisers of the full money initiative described the result as a respectable outcome that shows that many Swiss people have realised that the creation of money by private commercial banks leads to numerous problems. Similarly, majorities in all cantons accepted the initiative to change Switzerland’s gambling rules – see results by canton.